College of Nursing, CMC Vellore is a very reputed institute in India and abroad. It is a niche college that provides excellent education to young women in nursing. All courses recognized by the Indian Nursing Council and The Tamil Nadu nurses and midwives Council. Mylapore, Chennai – 600 004, Tamilnadu. 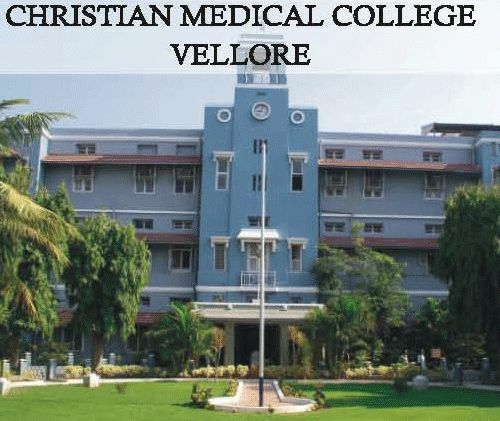 College of Nursing at Christian Medical College, Vellore is one among the top 5 nursing colleges in India. This is one of the most sought after nursing institutes in India. The institution has about 50 to 60 percent of its students from other states in India. And only about 40% of the students are from Tamil Nadu, where the college is located. This year’s admission register shows that this batch of students are from about 17 different states within India! There has been a sea change in the application process to College of Nursing at CMC, Vellore. The whole process of application is now online and it is easy to use. You will be able to apply for the course of your choice only through online. You can download the application and then fill it up. There is exhaustive information about the process of filling in and submitting the application forms. Have you filled in the application and has it been submitted? Next, you can expect a letter informing you about the date of the entrance exam. The entrance exam at College of Nursing, CMC Vellore is very competitive. Only the best students are able to obtain admission. The questions for the BSc entrance exam are mainly from the 12th standard subjects. There are some books that will help you be successful in the exams. More about the entrance exam can be found in the examinations section. 5. PhD in Nursing – As per eligibility approved by The Tamil Nadu Dr.MGR Medical University. Course fees: INR 35370 in the first year and 25785 for each of the remaining years. Hostel facilities: Available and compulsory for all candidates. Excellent placement opportunities for graduate nurses are available all over India. If you have qualified from College of Nursing, CMC Vellore, you have an edge over many other candidates. This is because of the quality of education imparted in this institute. Also, availability of a wide variety of patients and specialties enable good learning. A student nurse will also be able to get experienced in various specialties. There are perennial job opportunities in CMC hospital itself. Vacancies are available for staff nurses and BSc nurses who graduate from CMC. This is because of the ease with which many graduates go abroad. The regular exodus of nurses from the institution to various countries opens up multiple job opportunities. This allows other young nurses to gain the same kind of experience. Number of recruitment drives per year : 4 CBT’s per year(usually). All entrance exams at College of Nursing, CMC Vellore are MCQ’s (Multiple Choice Questions). You will be given a question with a choice of 5 answers. You are required to choose the best answer from the choices given. You know that the admission exams are held in various centers. These are held though a computer based test. So, you will get instructions on how to attempt and answer the various questions by email. CON, CMC Vellore also has a practice test available online, that is updated each year. If you are a candidate appearing for entrance exam in that particular year will be given a link to the practice test. You can also look at the CMC application forms for sample questions. Application form issue dates and timeline for entrance exam dates. Course fees: INR 27810 in the first year and 24440 for each of the remaining years. Candidates who have completed ANM training or MPHW(Multi purpose Health Worker) training can also apply. Hostel fees: INR 950 per month subject to revision. Mess fees: INR 2500 per month for students. Excellent placement opportunities for Diploma nurses are available all over India. 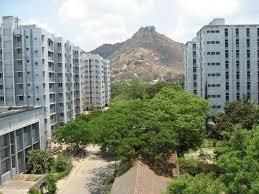 If you have qualified from CMC, Vellore, you have an edge over many other candidates. Most nurses from CMC go abroad or work in remote mission hospitals to provide service in needy areas. All entrance exams at CMC, Vellore are MCQ’s (Multiple Choice Questions). You will be given a question with a choice of 5 answers and you are required to choose the best answer. The admission exams are held in various centers though a computer based test. You will obtain instructions on how to attempt and answer the various questions. These instructions will be e – mailed to you. If you follow these instructions, it is sure to help you understand how the exam will be conducted. Approximate dates and timeline for application form issue & entrance exam. Course fees: INR 26000 in the first year and 15500 for the second year (includes university fees). The fees for MSc (Nursing) at College of Nursing, CMC Vellore is probably the lowest in the whole world! Candidates should have passed their BSc (Nursing) of a regular course with 55% aggregate marks. Hostel facilities: Available but not compulsory. Hostel fees: INR 25000 per year. A new hostel facility for students is available now. The building is wonderful with all modern facilities being available. Excellent placement opportunities for Post graduate nurses are available in many institutions all over India. If you have qualified as a MSc Nurse from CMC, Vellore, you will be sought after. Jobs are available in teaching institutions as Lecturers and Professors. Many post graduates appear for NCLEX and other exams before going abroad to work. 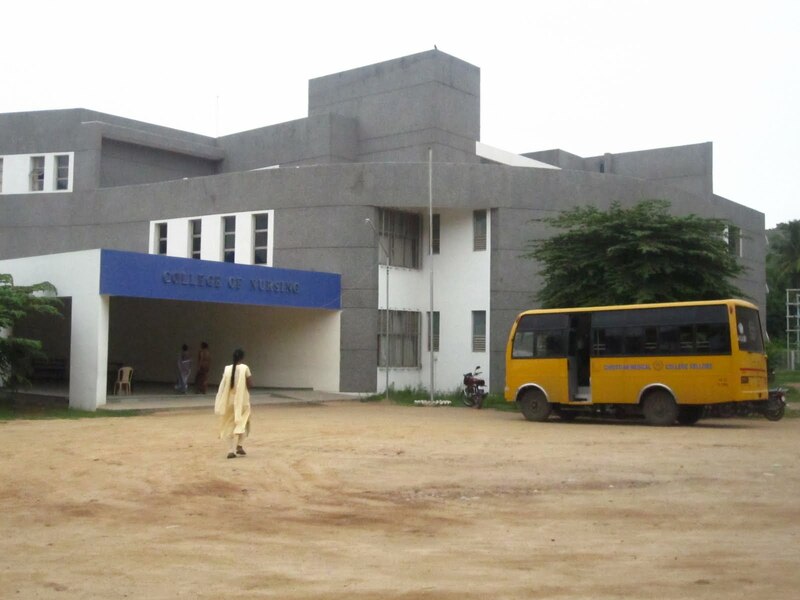 All entrance exams at CMC, Vellore are MCQ’s or Multiple Choice Questions. You will be given a question with a choice of 5 answers and you are required to choose the best answer. The admission exams are held in various centers though a computer based test. So, the exact instructions on how to attempt and answer the various questions are mailed to you. Books on general aspects of nursing – To answer the general section on all aspects of nursing. Books on the chosen PG specialty – To answer questions in the PG specialty chosen by you. You may be are selected in CMC, Vellore. But, have you completed the qualifying education from a state other than Tamil Nadu? If so, you need to Obtain eligibility certificate to apply for BSc / MSc Nursing course. You can obtain this from the Tamil Nadu Dr.MGR Medical University. For Christian candidates, sponsorship is available through sponsoring agencies. Selection to the various courses is based purely on merit basis. The competition is very high because of the excellent quality of education that is provided in this institute. Other than the high quality of education, the fees is very less. Compared to many other institutes the fees is nothing. And this is another reason for the huge competition for a seat in this institute. Are you are a graduate nurse, but have not studied in CMC? You may still want to work in CMC hospital. If so, you will have to compete in the Competency Based Test in CMC, Vellore. This is a test that is administered to all the graduate and diploma nurses from all institutes other than CMC. Though it is not a requirement, make sure your English is spruced up too! Next, you will be assessed periodically in your clinical area and also through various small tests. If you pass in the CBT, you will be provided a job in CMC, Vellore. Once the advertisements are out, you need to apply for the course of your choice. Additional information will be provided in the advertisement / announcement. There will be a checklist of enclosures that need to be sent. Online applications can be made too and appropriate payment made. Are you interested in admission into BSc Nursing or in Diploma nursing, for the year 2018? If so, please check the CMC website for prospectus download. The final selection of BSc(Nursing) results are available online. For the academic year starting from 2018, it is to be released on 1st July 2018. For the DGNM course, results for the academic year starting from 2017 will be released in July 2018. If you would like to check out the CMC results, you can visit the results page here. Personal Interviews will be published in the website in February 2018 and intimated individually by post. published in the website and intimated individually by post. College of Nursing, CMC Vellore is starting a Geriatric course. The INC inspection has been conducted for the same and it is likely to be started soon. Geriatric population is increasing all over the world. And there is a whole lot of opportunities for graduates in this specialty. Are you wondering as to which nursing college has most number of graduates going abroad? It is from the college of nursing at CMC, Vellore. Most, if not all of the recruiters know about the quality of education imparted in this institution. This is the reason for lot of recruitment of nurses from CMC. It is easy for a student from College of nursing, CMC to go abroad. Both at the graduate and post graduate level, candidates from CON, CMC Vellore find it easier to go abroad. integral to CMC. Sponsorship at CMC is not a right, but it is a privilege. Candidates should have served a minimum period of two years excluding internship in one or more mission hospitals or community areas of any of the supporting bodies of this institution after completion of B.Sc. Nursing / B.Sc. (Honors) in Nursing. For those with Post Basic B.Sc. Nursing Degree, the experience in the above mentioned area after the Diploma in General Nursing and Midwifery/alternate course will be considered. These candidates have to enclose the experience certificate from mission hospitals after the Diploma in General Nursing and Midwifery/alternate course along with the application for sponsorship. Candidates should have served a minimum period of two years excluding internship in one or more mission hospitals or community areas of any of the supporting bodies of this institution after completion of Diploma in General Nursing and Midwifery / alternate course. Candidates should have served a minimum period of two years excluding internship in one or more mission hospitals or community areas of any of the supporting bodies of this institution after completion of Diploma in General Nursing and Midwifery / alternate course or B.Sc. Nursing / B.Sc. (Honors) in Nursing / before or after Post Basic B.Sc. Candidates should have served a minimum period of two years excluding internship in one or more mission hospitals or community areas of any of the supporting bodies of this institution after completion of B.Sc. Nursing / B.Sc. (Honors) in Nursing / before or after Post Basic B.Sc. Nursing. Congratulations are in order for the staff and students of CON, CMC. The social media site TopYaps has declared that College of nursing, CMC, Vellore is one of the top 10 nursing colleges in the world. The Medical College is also ranked 2 out of 24 by India Today magazine And it is also ranked 3 out of 20 by Outlook magazine. I am currently working overseas. I have completed diploma in nursing. My husband works in CMC. I am wondering if I can apply for PC BSC? Could you please let me know the exam dates for PC BSC and in what category I can apply (sponsorship,dependent)? The admission for this academic year in CMC is over. You should try for next academic year. Will post more details soon about the next year’s admission process.